We saw the preview of the latest major software update of the iOS bile operating systems from Apple in the year of 2012 at the WWDC . With the release of the firmware in the same year on September the 19th. 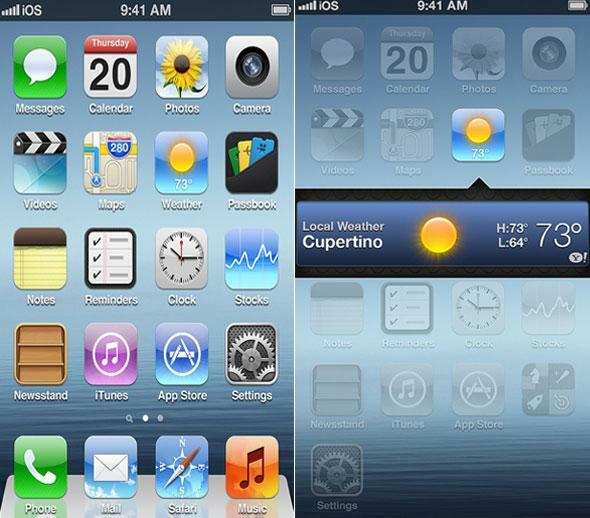 With the iOS 6 now completing a running period of months, there have been many rumors of the new iO7 to be introduced in the near future; and if this rumor has any authenticity, the new iOS 7 update will be introduced to our apple devices before we knows it. 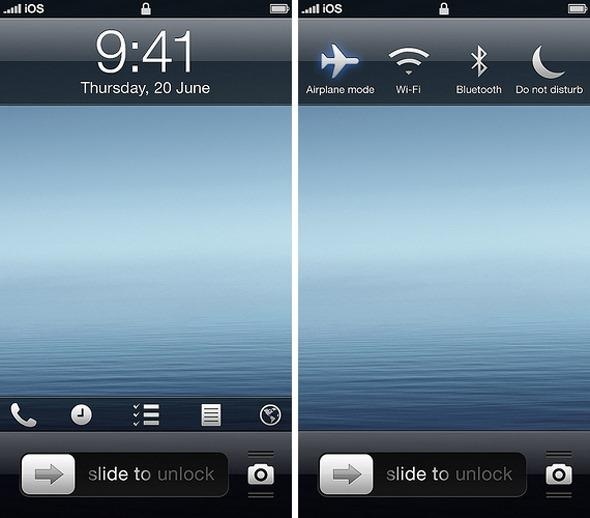 But until Apple allows us to have a quick preview into the next major iOS version, which we can expect in this year’s WWDC in June 2013, providing Apple sticks to their traditions, no one can predict exactly what iOS 7 is going to offer or look like. However, that does not stop people from imagining and thinking of possible ways the iOS 6 software can be improved to make it better than it already is! it’s due to this imagination that we have already seen several iOS 7 concepts and ideas from a number of designers that give us a great insight to the vast variety of ideas that Apple could apply to the software in the near by future. It starts off with the new lock screen concept. The majority of the display looks the same at first glance. However there are a few improvements that make the software fore useful. It includes a sideways swipe across the time and date that reveals buttons for Airplane Mode, Wi-Fi, Bluetooth and Do Not Disturb options. This saves the user from having to unlock the phone and going to into the settings app to then modify the settings; having these buttons on the lock screen ultimately saves a lot of time. As well as this, the camera icon in the lock screen that the user slides up can be replaced with some alternative options like phone, clock or reminders. Another feature F.Bianco has introduced is the quick information with the widgets. The respective widget when clicked on, pops up quick, relative information without the requirement of launching the app. As well as that, if the user swipes to the side, relevant settings will be displayed that can be used to instantaneously change the volume/brightness and other relative settings. This again, is useful as it means that the setting can be easily changed without having to go into the settings. 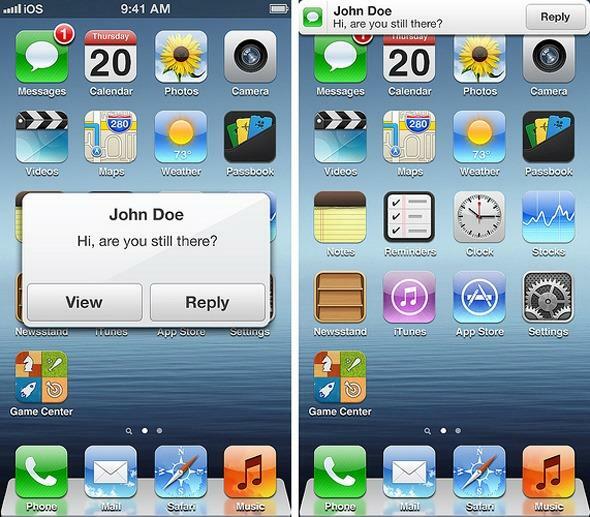 One other feature that looks particularly useful is the within F.Bianco’s iOS 7 concept is the Quick Reply feature. This is much similar to the biteSMS tweak that can be obtained on a jail broken device that has been in use for quite some time now, but it basically lets the user read and reply to a message without actually going into the message app. Quick reply shown by F.Bianco works the home screen , lock screen and most likely, in-app also. Some of these features within this concept look extremely useful, and hopefully something similar will be produced by Apple in their iOS 7 software.